As a native of Minnesota, you might catch an occasional “uff-da” or “ya, you betcha” from Christopher. But at the core, this graduate of Concordia College in Moorhead, MN has carved a reputation for a savvy marriage of business know-how and digital marketing experience. 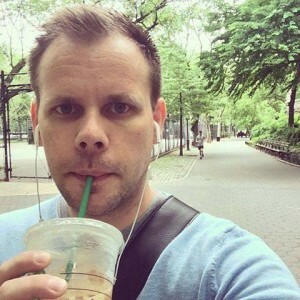 Christopher is most known for his corporate work in marketing and business compliance and later, work at New York City digital agency, Blue Fountain Media. He also moonlights as a foodie, whipping up recipes, publishing cookbooks, and producing a foodie-inspired website under the brand Pumpernickel&Rye. Christopher founded Cora+Krist with the distinct goal of making advanced digital practices accessible to all businesses. The client roster boasts of large corporate engagements, however, the passion lies in bringing small business to life in the digital world. Christopher and team does this by working closely with clients to help them differentiate and innovate in their space then carefully selects appropriate tactics right-sized for the business need. The result is large corporate marketing exposure that consumers expect but utilizing smaller budgets that small businesses have to work within. With over 16 years of experience that includes in-house engagements with brands such as DaimlerChrysler, Microsoft, and Minacs, and big agency engagements with brands like Penguin Books, R.R. Donnelly, HarperCollins, Capezio, and Bennihana, Christopher’s experience is broad. He brings to the table the know-how to apply marketing tactics in a way that immediately impacts business value. Looking for some of my yummy recipes? Visit my newest project.